A personalised new baby nursery art print featuring adorable watercolour bunny rabbits. This art print is a lovely addition to every baby's nursery. 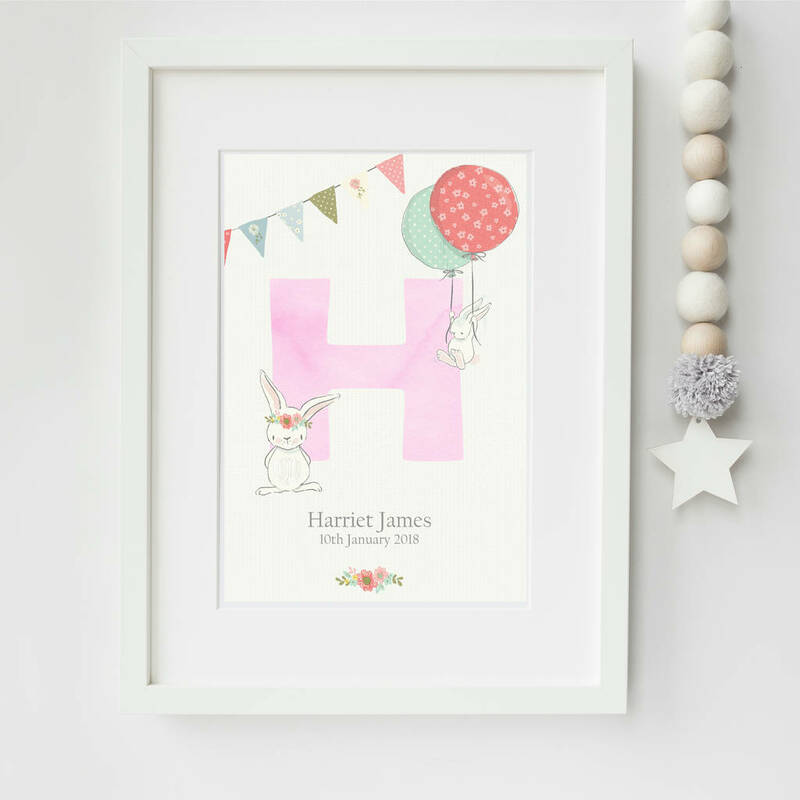 This lovely nursery art print is personalised with the baby's name and initial. It features a sweet watercolour bunny rabbit holding a balloon.